With grateful appreciation, we bid farewell to our founder ... - Sauber Mfg. Co. The company announces the passing of Charles “Chuck” Sauber Sr., age 96, who claimed the promise of his Savior on Tuesday, September 13, 2016. He was born on April 16, 1920. Chuck or Charlie, depending on what name he went by at the time, grew up in Virgil, IL. He entered the working world at age fifteen, and drove a horse-drawn mower that mowed the grass along the highway. 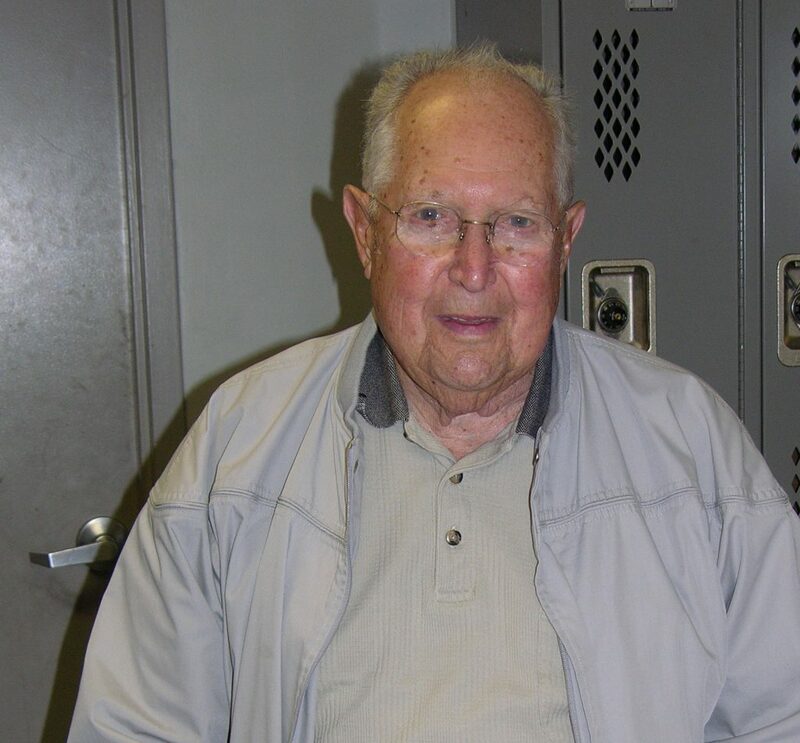 Following graduation, Chuck worked at DuPage Boiler Works where he worked on the line and wore through a pair Sears Sturdy Oak work gloves every single day. Chuck always had an eye on advancement and if there was an opportunity to further his career, he jumped at the chance. The number of jobs he held during those early years could fill several pages. Chuck was a salesman for Schuh Grain Elevator for many years. In 1964, he worked as a utility specialist for Platt Incorporated who sold truck equipment. Later, he took a job with Astoria Fibra-Steel, where he sold fiberglass truck bodies. His tenure with Astoria was tenuous at times, but Chuck eventually established his own distributorship, which ultimately turned into Sauber Manufacturing in 1968. The story goes that Charlie was asked by some lineman if he could come up with this or that improvement. Since he had a small machine shop at home, he worked at night to find a solution and bring it back out to the field for testing. After a few failures and a few successes, Charlie was off and running. As time went on, Sauber Manufacturing grew into different areas of utility needs, and followed Chuck’s ambitions and imagination making a name for itself in innovation and collaboration. Today’s Sauber Manufacturing continues to sell direct to customers to preserve the ability to have direct feedback from the field, and is the industry’s leader in innovation because of it. It may have all begun when he was a young man of 10 years old. Chuck fixed a piece of farm machinery, an Oat Binder, which instilled in him a fever to make things work better and more efficiently. Upon that foundation, Chuck would add 49 industrial patents including his first invention, the “Snap-e”, a snap fastener repair tool. His wife’s frustration with the constantly failing snaps on her children’s clothing was the inspiration for that tool. (Chuck got the patent on the “Snap-e” but Lorraine should have gotten the credit!) Retirement was a dirty word to Chuck and never entered into his vocabulary, mostly because his mind never stopped thinking. Even into his last days, he had dreams and aspirations to make life easier for future patients and nurses. In fact, he wanted to live three more years in order to make some of the dreams a reality, but he has forgone the limited potential of the earthly and is now reveling in his Heavenly workshop where nothing is impossible. Chuck was a proud member and past commander of the Maple Park American Legion #312. His family was so large and Virgil so small, Chuck was known to say with pride that he fathered 10% of the population! He was the beloved husband of the late Lorraine Sauber; and loving father of sixteen children. The company continues to be family owned and operated and has a plan in place for it to continue Charlie’s legacy well into the future.